If you would like to volunteer or donate books please call the Library or speak in person at the front desk. We gladly accept books all year round. Please bring them to the Library when we are open. 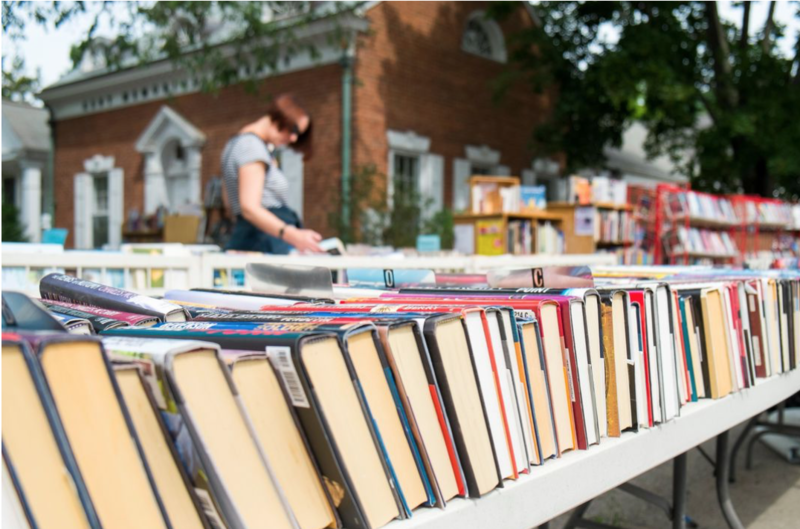 (Kent, Connecticut) – The Kent Memorial Library will kick off its extravagant annual book sale on Memorial Day Weekend! The sale will begin on Friday, May 24 (no early birds) and continue through Monday, May 27. Memorial Day weekend hours will be Friday: 10-5, Saturday: 10-5, Sunday: 10-5 and Monday: 10-5. 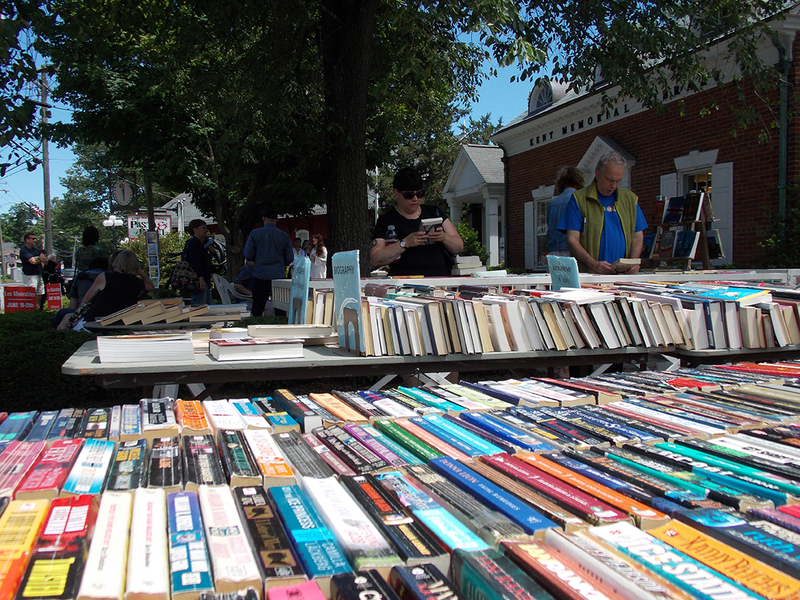 The Book Sale will continue on weekends all summer and through mid-October. Visit the Library’s website for operating hours. “It is the Library’s biggest fundraiser, and all proceeds benefit the Kent Memorial Library’s operating budget,” says Library Director, Sarah Marshall. As anticipated, the sale will be carrying a wide range of books, including many current best sellers, mysteries, biographies, art history, to name a few; the book sale caters to all interests. Books are sorted by category, with prices starting as low as 50 cents. And because of their popularity, we continue to offer a collection of jigsaw puzzles. We are accepting donations of books in good condition (no magazines, encyclopedias, Reader Digest books, old textbooks). For an extra attraction, on Saturday, May 25, from 10-1, the Annual Junior Room Bake Sale fundraiser will be held with delicious homemade baked goods (rain date: Monday, May 27). If you would like to bake, please sign up at the Library. This event is sponsored by the Parents’ Committee. All proceeds to benefit the KML Junior Room. The Kent Memorial Library has chosen a 2000 Porsche Boxster Roadster as this year’s annual fund raising raffle car. This arena red with Savanna beige leather interior has very low mileage. Tickets are $20. Raffle tickets are being sold in the Library and during the annual Library Book Sale. The car will be parked in front of the Library. The winning ticket will be drawn on at 1:00 p.m. on Sunday, October 27 at the conclusion of the 43rd Annual Kent Pumpkin Run. Information is available on the Library’s website. Ticket holders need not be present to win. Book donations and plastic bags are always needed as well as volunteers for the book sale. If you would like to volunteer for the book sale, please contact the Library. For more information about either, please call the Library or speak to a staff member. The Annual Book Sale is a vital part of the Library’s income, accounting for a significant amount of the Library’s operating budget. The Kent Memorial Library’s mission is to enrich the lives of individuals and the community by providing materials, programs, and services to encourage reading, learning and imagination. The Kent Memorial Library is located at 32 North Main Street, Kent, Connecticut, 860-927-3761. Visit kentmemoriallibrary.org for more information. 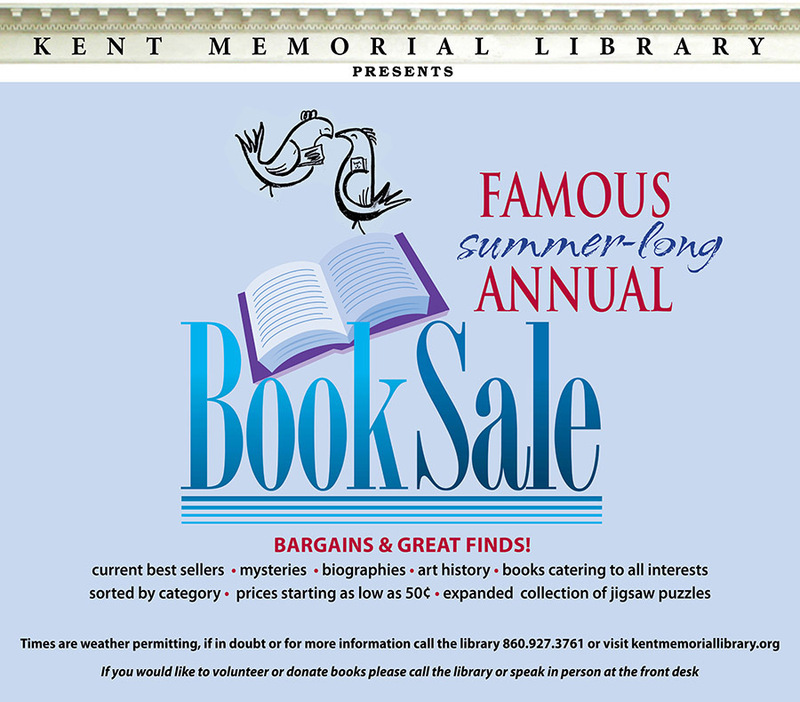 Photo caption: The Kent Memorial Library will kick off its extravagant annual book sale on Memorial Day Weekend! Photo by Lucy C. Pierpont.